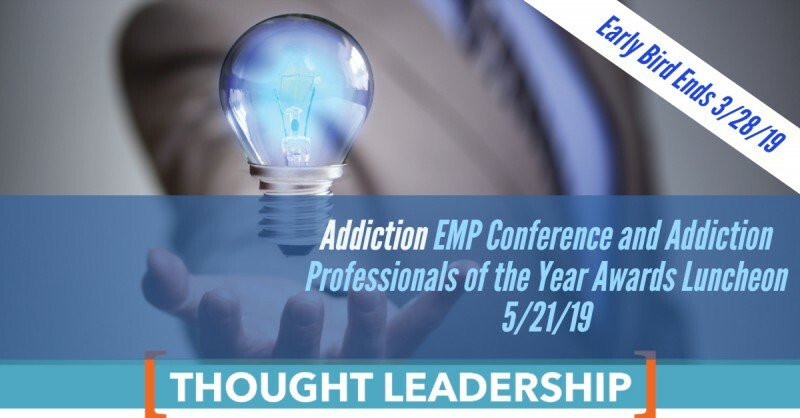 This addiction conferences EMP series event on 5/21/19 will educate CEO’s and Executives on the business side of medication-assisted treatment, drug rehab SEO, and substance abuse billing. There will also be a special presentation on a new opiate withdrawal medication. We are honored to hold our 16th EMP Addiction Conferences series event. This behavioral health executive event will have a special luncheon honoring the addiction professionals of the year (APY Luncheon). You can visit the event website to register at https://www.behavioralhealthnetworkresources.com/events/addiction-conference-and-awards-luncheon/. Behavioral Health Network Resources Addiction Professional Community Work Behavioral-Health-Network-Resources-raises over-$650,000-worth-of-addiction-treatment-scholarships BHNR has assisted in bridging the gap between addiction treatment centers and those seeking addiction treatment. Bringing together these two communities is a difficult task. The heroin epidemic is taking more than 150 lives per day, and many do not reach out for help. We have strived to make addiction treatment available for those suffering from substance use disorder. $250,000 Worth of Addiction Treatment Scholarships for the Addicts Mom Behavioral Health Network Resources honored the Addicts Mom and raised over $250,000 worth of substance abuse treatment scholarships. We brought together our large community of addiction professionals and educated them while assisting in bringing these scholarships to those in need. There was a special luncheon honoring the Addicts Mom for bringing together mother that have children that suffer from substance use disorder and behavioral health issues. $400,000 Worth of Scholarships for the Riviera Beach Civil Drug Court Behavioral Health Network Resources brought together the addiction treatment professional community, and a Florida civil drug court fostering treatment over incarceration. bringing together these two communities raised over $400,000 worth of addiction treatment scholarships for the Riviera Beach Civil Drug Court. Many who are incarcerated for drug-related crimes do not stand a fighting chance against the brutal disease of addiction. Many times, they are simply thrown back into the system because they are never provided the chance of treatment, or have only poor treatment while being incarcerated. Vote for Addiction Professionals fo the Year attend-addiction-conferences-emp-series-marketing-and-business-conferencesYou can vote below for the best of in several different categories. After placing your votes, show your support by registering for the conference and get educated on proven marketing and business strategies. The top 3 nominees will receive free admission into the conference. They will also be honored during lunch after the ethical marketing practices Executive panel. Be sure to register your vote below, check out our panelists at the bottom of this page, and show your support by registering for the conference today. There will be one winner in each category. This is a peer to peer voting system. we will be finding the best: Treatment Center CEO of a Treatment Center Marketing Director Clinical Director Outreach Professional Sober Home Sales and Service Organization This is a peer to peer voting system. Behavioral Health Network Resources does not endorse any of the nominees. The results are compiled from an online voting system. You can place your vote for the addiction professional of the year by clicking here. Be sure to share this post with all addiction professionals.